Why is Albania surging in popularity as a tourist destination? Is it the rejuvenated and vibrant cities? The stunning mountain landscapes? Centuries of Ottoman and Balkan history? We vote for ‘all of the above’! May to September is the most popular time to visit Albania. The mountains will be pleasant, however you should expect crowds along the coast. Winter weather can be harsh in the mountains while spring and fall offers comfortable weather with little to no crowds (and cheaper prices). 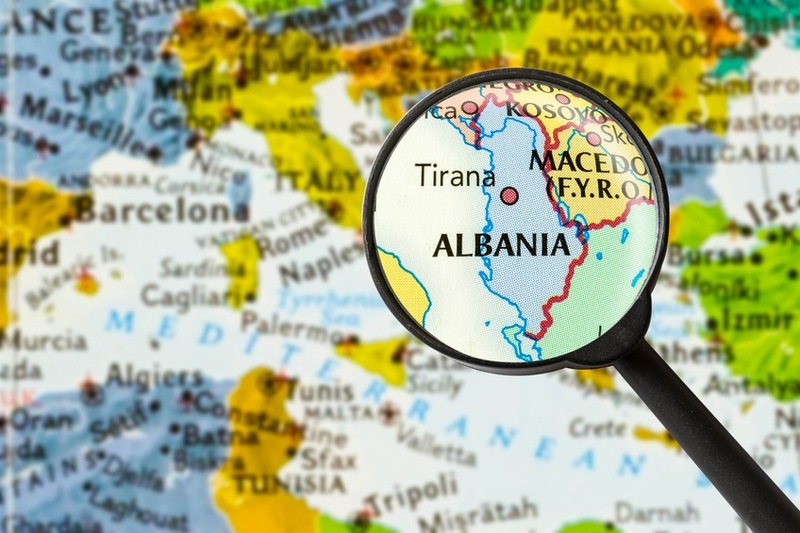 Albania is located in Southeast Europe and borders Montenegro to the northwest, Kosovo to the northeast, Macedonia to the east, and Greece to the south/southeast. It also enjoys a long coastline along both the Adriatic Sea and Ionian Sea. How do I get around Albania? Getting around Albania can be a bit of a hassle, though buses are generally your best bet. Keep in mind that schedules and coverage do fluctuate. Trains aren’t really much of an option, with poor conditions, low speeds, and spotty coverage (but they are cheap!). Finally, driving yourself can be a hazardous endeavour thanks to rough (but improving) roads and dangerous driving practices. Albanian is the official language, however you will also likely hear everything from Italian and Greek to French, German, and English. 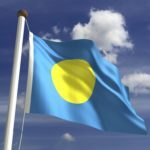 You can get by with English in parts of some cities (such as Tirana) however you should definitely brush up on some Albanian phrases. Since the end of communism, Albania’s capital has undergone significant changes and ‘upgrades’. Today, Tirana is a vibrant, colourful, and happening place – whether its bars, cafes, or museums you’re looking for. 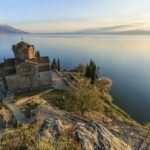 The sheer pace of life here can be a bit much at first glance, but give yourself a chance to get used to it and you’ll be treated to one of the most surprisingly fun capital cities in the Balkans. It’s a great way to start your trip through Albania before heading off into the more remote regions. Just a stone’s throw from the Greek island of Corfu lies the city of Saranda, the crown jewel of a long Mediterranean coastline in Albania. Thanks in part to a large Greek population; Saranda is certainly reminiscent of the island cities of its neighbour. While the rapid build up of the last couple decades has diminished the city’s quaint atmosphere, it has made it an even more ‘fun’ place to visit – with ample amenities, great beaches and resorts, and a bustling nightlife. This is the summer retreat for many Albanians; so don’t be surprised if you’re not the only one enjoying the sun and sand! Besides the aforementioned city, the ‘Albanian Riviera’ is full of great places to soak in the Mediterranean. Like Saranda, increasing popularity, tourism, and development have resulted in a loss of privacy and idyllic fishing villages – however a little effort can go a long way to carving out a private place for yourself along the shore. The days of backpacking along the Albanian Riviera without seeing another soul may be gone, but that doesn’t mean you can’t still escape from it all if you want to. Easily the most picturesque city in the country, Berat earns this moniker thanks to the Ottoman house covered cityscape. The white buildings climb the hill the city is set upon, giving it a unique look you can’t find anywhere else in Albania. Besides the aesthetic, the city possesses a welcoming and carefree atmosphere despite its recent surge in popularity (like most of the country) and is a worthy addition to any Albanian itinerary. 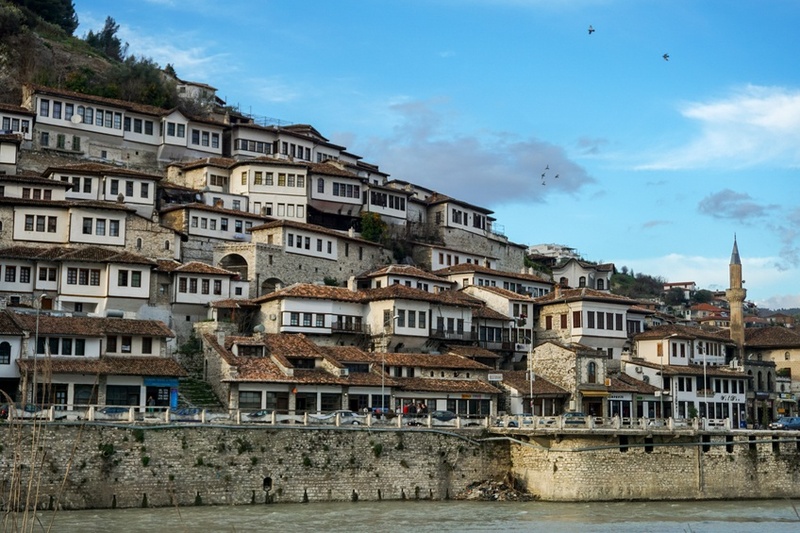 Like Berat, Gjirokastra features some great Ottoman architecture, and also like Berat, it has been named a UNESCO World Heritage Site because of it. It’s easy to see why from the minute you enter: the large collection of Ottoman buildings covering much of the hillside town (sound familiar?). Compared to Berat however, Gjirokastra features significantly less tourists (while still featuring more than enough amenities to make the visit a pleasant one). It’s also known as the home of former dictator Enver Hoxha, though you’re unlikely to see many reminders of this. 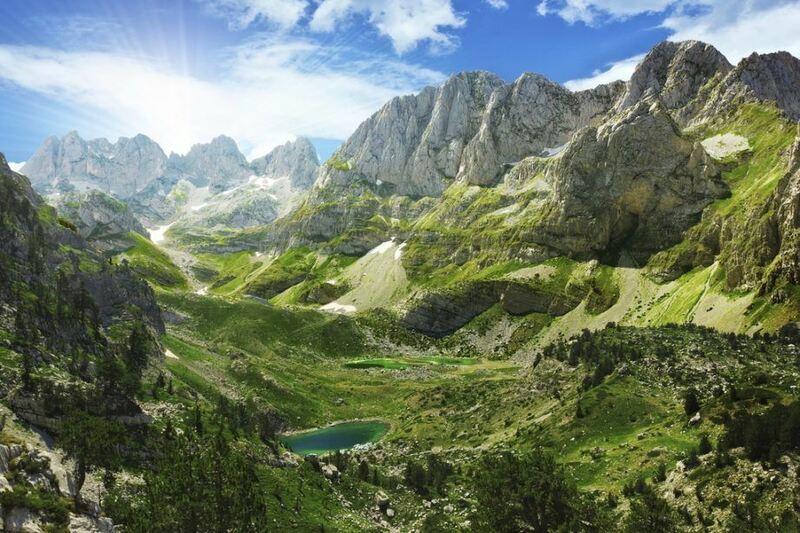 Also known as the ‘Albanian Alps’ (which is, lets face it, not nearly as cool a name), the Accursed Mountains stand proudly as the inarguable highlight of a trip to Albania. If you’re the adventurous sort, grab a backpack and set off into the awe-inspiring peaks and valleys. 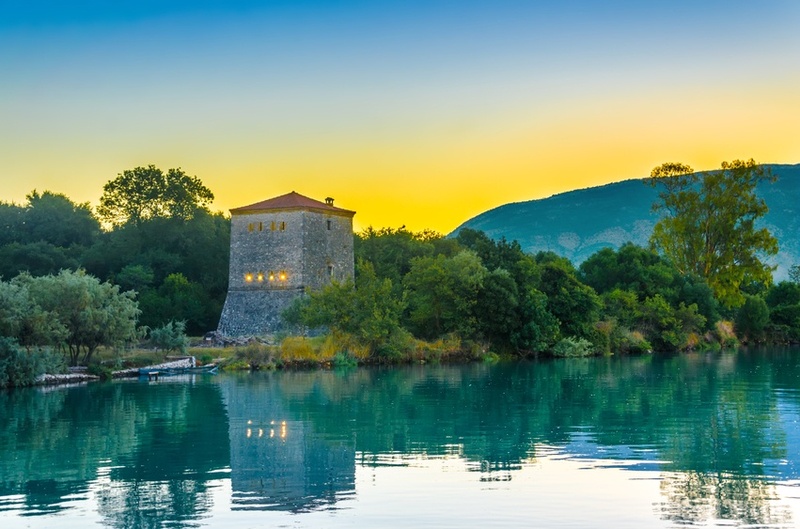 You’ll be immersed in traditional Albanian culture, all while coming across some of Europe’s most picturesque landscapes. 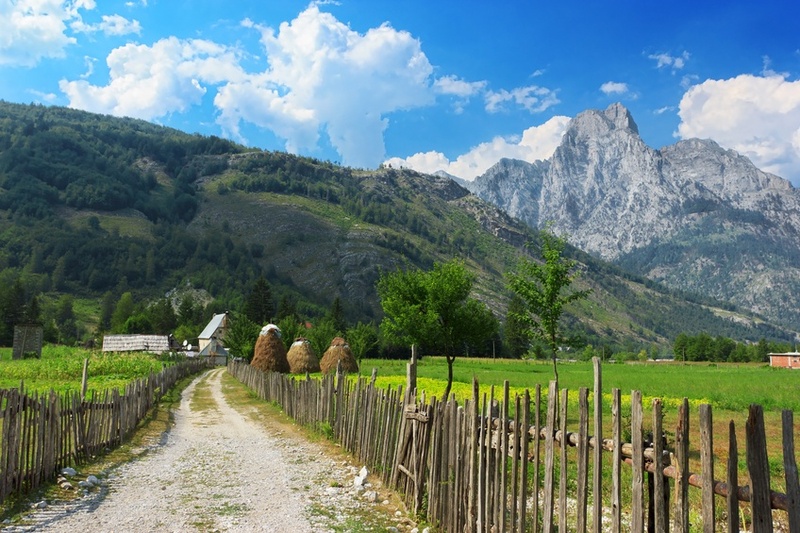 Within the mountains, the town of Valbona and village of Theth are both worthy stopovers. Round trip flights between Toronto Pearson and Tirana start at about the $1100 Canadian mark. Be sure to shop around, as flying into a neighbouring country could save you some money in the long run. Don’t be afraid to get creative with your travel schedule. Prices in Albania can fluctuate, though on average you should expect to spend about 50-100 euro equivalents a day (around $100 Canadian depending). You can keep costs down here if you work at it, with cheap food and accommodation found throughout the country. 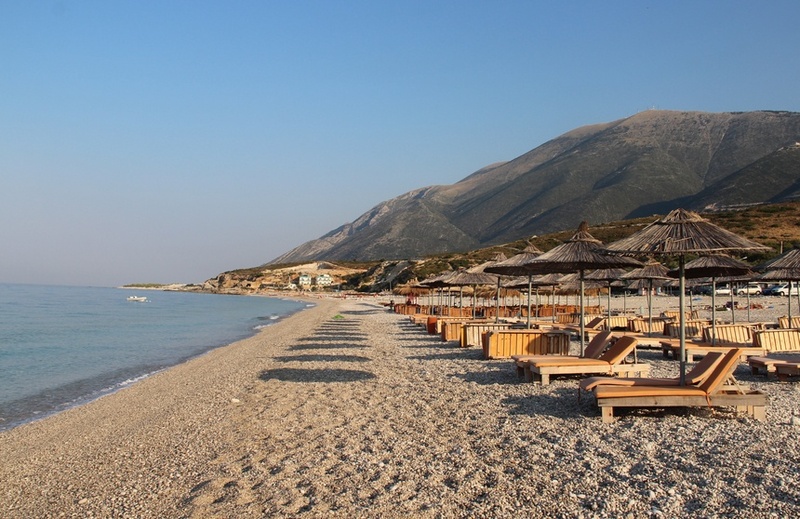 Overall, Albania can be one of the less expensive European destinations if you want it to be. 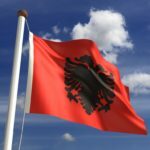 The majority of Albania is safe, with no advisory in effect and normal security precautions recommended throughout by the Canadian government. That being said, non-essential travel is not recommended to the city of Lazarat due to conflict between security forces and marijuana growers. The situation is improving but it still remains dangerous. Crime, mainly of the petty variety, does occur in busy areas (tourist and transportation centres especially). Violent acts do occur (including those involving organized crime), however tourists are usually not targeted. You should also avoid any and all demonstrations. Road travel can be very dangerous in parts of the country due to poor maintenance and sketchy practices. If you do plan on driving, make sure you have a four-wheel-drive vehicle. For more on travel safety, check out the Canadian Travel Advisory for Albania. You can learn more about Albanian history and culture in the Country Profile as well as its currency with our Spotlight.